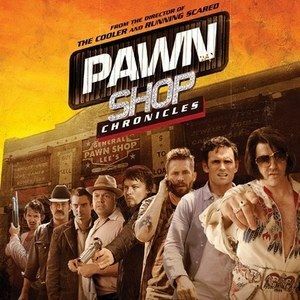 In this shop, these people may be pawning far more than they bargained for: Brendan Fraser, Elijah Wood, Vincent D'Onofrio, Academy Award nominee Matt Dillon, Norman Reedus, Thomas Jane, Lukas Haas and Paul Walker star in 3 twisted tales all connected by items from a Southern small-town pawn shop. A man searching for his kidnapped wife, a couple of white-supremacist meth heads, and a sad-sack Elvis impersonator, plus more desperate characters come to life in the action-packed and hilarious story written by Adam Minarovich and from the director of Running Scared, Wayne Kramer. Check out the trailer and two posters for Pawn Shop Chronicles before this Kentucky fried action comedy hits theaters and VOD this July.